In planning our food storage, one area that’s caused some trouble is meats. Now I know meats aren’t on the “wheat, beans, powdered milk, and honey” plan, but I like meat. So does my sweet husband. So do my kids. I really want some in my food storage. The standard way to store meats is to have some in the freezer. This works fine if your electricity doesn’t go out or if it does and it’s real cold outside and you can just pile your frozen stuff in the snow to keep it frozen. But it’s not the best way to store meats, especially long term–frozen meats that are not packed just right develop a bad case of freezer burn. So if you have meat in your freezer, what’s your backup plan? Your other options are to buy freeze dried meats or canned meat. Neither are cheap, and I’ve not had great experience with freeze dried meats (maybe because it wasn’t great meat before it was processed?) Now we come to canned meats. Canned meats are a good thing. Most people’s canned meat storage consists of tuna fish or spam. Yep, I have a case or two of tuna fish. I despise tuna fish. I don’t have any spam–I really despise spam. I also bottle meat from the hunts. 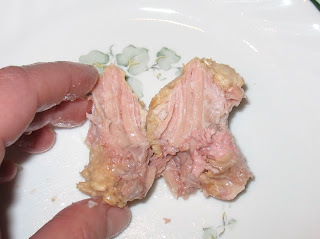 I have some canned chicken in the squatty fat cans that I’m not real crazy about because it’s super processed, chunked and formed hunks of meat that was formerly chicken in a can with lots of water. Got all that? Sounds delicious, right? Well, here’s where our review comes in. Internet Grocer/Best Prices Storable Foods sent me some of their canned meats to try. I received a sample pack with canned chicken, turkey, beef, pork, and ground beef. The first one we tried was the beef. This is the large 28 oz. can. Each of the meat varieties are available in large cans or smaller 14.5 oz cans. Here’s the open can. One of the great things about Internet Grocer’s canned meats is that they are not packed in a bunch of water. The ingredients say: “Beef, salt” That’s it. So the juice in the can is just juice from the meat being processed. The meat also comes from hormone-free animals. I’m already liking this stuff. I tasted this beef cold, warm, and all mixed up in my sauce and it was good every time. 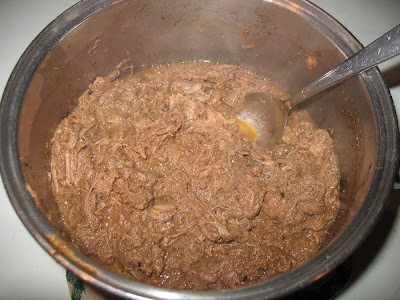 I’m pretty sensitive to the taste of preservatives, maybe since most of the food we eat around here is “from scratch”, and I could not tell this beef wasn’t from a roast I cooked in my crockpot all day. I was also concerned about the salt–I want my meat to taste like meat, not salt (think spam), but the canners got the salt level just right–enough to enhance the flavor, not so much that you taste salt. Nice work. And I don’t recall seeing canned beef on the shelf at the grocery store, but maybe I just haven’t looked. Ditto on the pork. It was really good. Packed in its own juices, not too salty. It was fabulous. Even sweet husband liked it. I liked the taste, the texture, and the ease of cooking with it. And who has canned pork? That’s another one I haven’t seen at the store. So if you’re looking to round out your food storage with some quality meats that will store 5 years or more, (or if you’ve procrastinated on getting the prepper on your list something special for the upcoming holiday) head on over to Internet Grocer and pick up some of their Signature Canned Meats. They have my approval. 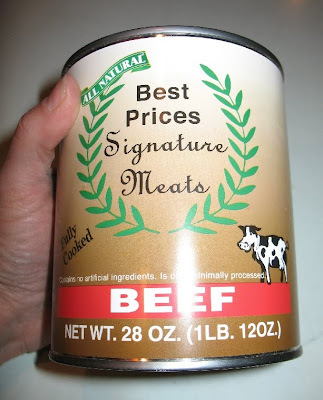 As required by the FTC: I received a sample pack of Best Prices Signature Canned Meats in order to write my review. I received no monetary compensation. You know if I review something it will be thorough and honest, so the opinions expressed here are my own honest opinions. These look great! I need to start getting more meat on my shelves… I have hardly any meat in the freezer because 1) I share my tiny freezer with a roomate, and 2) we lose half the food in the freezer every hurricane season anyway. I truly do enjoy the canned meats that I've tried. In fact, I hve some in my pantry right now! Luckily, I'm one of those folks that like spam, but the beef, chicken, and pork from Internet Grocer, and some of the other canners…are really good! I wouldn't waste my time with the other smaller cans of meat, as the 14 oz. is just about the right size for a small family or if you live alone like me. Very cool. I too have a problem with canned meat and so I've been stocking more of the beans to make up for the protein loss (We just had a "veggie" chili as a result for lunch today). I'll check these out for sure. 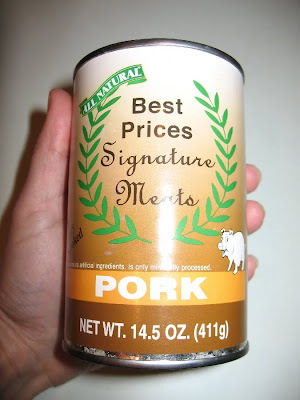 At our last "Prep Pot Luck" one of the members brought some canned pork that was atrocious, very chemical in taste. Anything that does not taste like a vitamin is a plus in my book! Give home-canned meats a try. Trim the meat of as much fat as you are able to do. 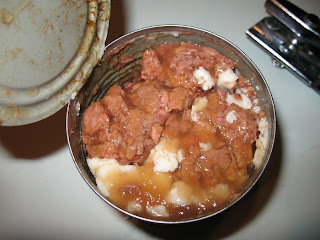 Pack a pint jar with raw meat chunks (fairly tightly) to within an inch of the rim. Add water to within a half-inch after releasing any air bubbles. I add a 1/8 teaspoon of salt, but that's a personal choice. Process in a pressure cooker at 10 lbs for 75 mins (adjusting for altitude if necessary). Each pint holds about 1 lb of meat. Just wait for whatever meat is on sale, and stock up. I've done beef, pork, chicken breast and uncooked ham (don't add extra salt to the ham). It is every bit as good as the canned meats you can purchase, and you know exactly what's inside. I have found that shredding the meat is the best way to eat it, as you need some sort of sauce or gravy because the meat is very well done. Angela, I love that you have made home pressure canned meat as well as now reviewing this new purchased meat. It gives readers a good balance. Sometimes the cost of getting a canner and all the equipment…and not being sure how to use it would be less safe and time wise not feasible for all people. Even busy people can appreciate this beef at the price it is, because they may not have the time to make home canned beef, but have the means to purchase it. I have said it before, but I really love what you do. HermitJim–Seriously? You like spam? There's something wrong with that ;) Thanks for coming by today! Guntard–Yep, if it tastes like MRE whether it's in a pouch or a can I just can't stomach it. This is good stuff. Chief-Instructor–I've done some home canning of meats before–mostly elk and deer. Might look into doing a little more of the "regular" meats. Thanks for your comment! I second the home-canning option! It's probably too late for this year, but this next spring/summer check around and see if you have a local cannery. Here in Georgia we have 28 regional canneries that the public may use. Bring whatever food you want to can. You can do most of the processing at home or wait until you get there. (things like peel carrots or cut up stew meat.) Cost is 50 cents per can (#2 can – they provide the can, lid & processing) or 25 cents for any size mason jar (you provide the jar, ring and lid and they process it for you). You can fill the cans with whatever you want to wet pack. 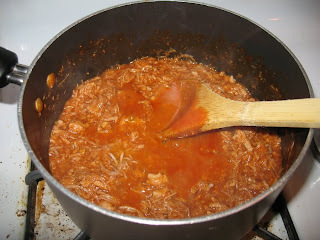 I've done everything from potatoes to pork tenderloin, applesauce to pumpkin puree, soup to spaghetti sauce with meatballs. 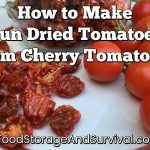 You can have about 109 cans/jars per batch instead of the 7 quarts that most home canners hold. It took my son and I about 2 hrs to can 99 cans of potatoes, pumpkin puree, dried beans and pork. For his Eagle project we canned 410 cans of applesauce, potatoes, dried beans and carrots. It took us 4 hrs to get it all ready and we had about 10 helpers to peel carrots and sort beans. They also have the ability to process jellies, jams, sauces and soups. So that's another route you can take to get home-canned goods. But if you're ready to get into preparedness in a more serious way, invest in a pressure canner. You can get one used for about $25-$30 and have your local Extension Agent test the lid – you should do that every year anyway. You may need a new gasket – about $3.00 (get a gasket-less one if you can afford it) or a new pressure dial – about $12.00. Just make sure the bottom of the pot isn't rounded out. It means it was over-pressurized and has warped – pretty hard to do, but some people…. You can also get jars and canning equipment at yard/garage sales for a whole lot cheaper than new at the store. Make sure the jars don't have an chips on the lip of the jar. I say to invest in a pressure canner because you can also water bath and cook large batches of food in it where as the cheaper water bath canner cannot be used for pressure canning. Plus, you don't have to store a second huge pot. Note: there is a difference between a pressure COOKER and a pressure CANNER! Oh, any you do NOT have to pressure can/water bath all the same thing. In other words, meats take about 75 mins. So do any foods with meat in it – like spaghetti sauce with meatballs. You can mix and match things that need the same cooking time. So 2 jars of spaghetti sauce with meatballs, 3 jars of pork tenderloin, and two jars of beef stew make a load and can be processed together. That helps with the "don't have time" thing. Make some extra food and freeze it. When you have enough to do a canner load, thaw, package in jars (I've heard a lot of people say they freeze in their glass jars, but mine have always broken, now matter how little I put in them), then process the jars. Darlene-that public cannery is awesome! I've never heard of such a thing. I'd definitely be using that to save on some time. So much easier than peaches and plums, though I do those too. You need a pressure canner, jars and lids. Everything else you already have in your kitchen. About a pound of meat goes in a jar, add salt or seasoning if you like, apply lid, process in canner. Done. So easy! Sausage, roast beef, bacon, grilled chicken, pizza meat, anything. check into it and consider. Much cheaper than anything anybody is selling!!! OK, it takes a bit of time. Quart jars process in the canner for 90 minutes, but you've got to do other kitchen work anyway. Do it while you watch the pot. I did a post on bottling meat over a year ago here in case any new followers hadn't seen it. I will continue to bottle my own meat. But if I didn't want to or had more money than time, these canned meats are a fantastic second choice as they don't taste any different than home-canned.